Adel Souto, originating from Miami and now living in Brooklyn, NY, must be a name familiar to those who knew the Feast Of Hate And Fear zine, of which he was the main editor, and Antibothis occultural anthologies series, to which he has been a noteworthy contributor of the first issue ; his new zine is titled Musica Obscura, and besides, he keeps publishing one-off zines, books, articles on esoteric and occultural subject matters, and compilations of “throwaway poems“, that are said to be “unedited stream-of-conscious scraps, which purposefully have to fit 8.5 x 5.5″ pieces of cardstock ; handwritten, using a marker. Called “throwaways” due to being almost immediately left behind on mass transit, or in heavily trafficked areas. To date, over 1000 have been written (with only about 200 documented), and abandoned around Miami, Philadelphia and New York City“. Those throwaway poems, not unlike Tristan Tzara‘s dadaist writings, are signed using the pseudonym Adel 156. With such extensive activities as a writer, I wasn’t even aware of the musical side of his outputs – until now. 156 is a collective project, that Adel Souto conducts, featuring occasional or regular contributors. Presented as blending Einstürzende Neubauten, Test Dept., Z’ev and Crash Worship – with such references, I must admit that expectations were high. 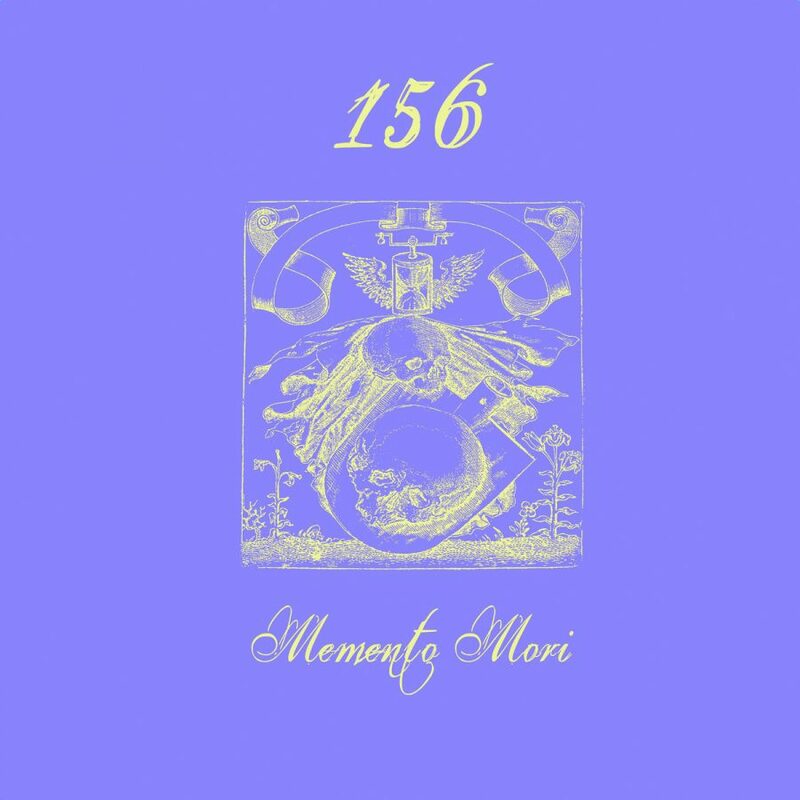 Thus, I downloaded (free downloads) the albums 1.5.6 (2011) and Steel Rarely Stands Alone (2015) in order to get more familiar with 156 and explore other soundscapes prior to immersing myself in the discovery of Memento Mori. Concrete sounds, almost field recordings, okay, but not the boring type of easily recorded and mannered artsy random material that several modern composers supplied us hundreds of hours with, rather tones of intimistic memories with quite a ritual and atmospheric edge. Minimal found objects manipulations. Flirting with both softness and rawness. Crash Worship and Z’ev, yes, definitely, and Test Dept. too, but more in the vein of their earlier recordings, rather than their later developments. Same with Einstuerzende Neubauten, back to those glorious days of caving under highway bridges, and before the departure of FM Einheit. There is even a cover version of Karlheinz Stockhausen‘s “Cycle on the Radio” as last track of Steel Rarely Stands Alone. The qualities of the recordings matter a lot with such sound works, no disturbing white noise hiss in here, and indeed, the environment where those recordings were done is crucial ; the self introduction of 156 mentions that it is “often being described as a drum circle in a rusty junkyard” : exactly. Rhythmic escalations are inducted in parts, whereas other moments are more floating. Further on, the self presentation of 156 also states : “having tribal elements, the music can often be used in shamanistic practices, as it comes from the soul, and is meditation music for metalheads“. Having more punk and minimal electro roots myself, i cannot say what’s up for the metalheads, but it is indeed appealing and meditative, leaving deeply marked reminiscences after listening. And as far as coming from the soul and being used in shamanistic practices, this is where Memento Mori enters the stage. Recording sessions initiated in 2012, up until 2016. All the music on this release was made using exclusively human bones, or breath passing through human bones, which include skulls, femurs, vertebrae, bone whistles, and kangling (Tibetan thighbone trumpets). Zero Kama or Metgumbnerbone (rather Drëun than Ligeliahorn, by the way) immediately come to mind – which is obviously legit, as there is a cover version of Zero Kama‘s “Starlit Mire” on the B side of the 10″. “Starlit Mire” was maybe the highlight on Zero Kama‘s The Secret Eye of L.A.Y.L.A.H. album cassette on Nekrophile Records (released in 1984 on Nekrophile Rekords, then reissued by French label Permis De Construire as a vinyl LP in 1988 and as a CD in 1991, and finally reissued by French label Athanor as both LP and CD in 2014), this album, itself, being a masterpiece and a milestone in contemporary ritual/tribal music. Thus, the challenge is rather hazardous, perilous, risky, to refer to such a revered piece of worship. Others have tried before and eventually failed, there has even been some homage compilation, with good and bad moments. Okay. At the risk of sounding pompous, what may I propose? To my perceptions, Memento Mori by 156 must be the most achieved and prominent companion to The Secret Eye of L.A.Y.L.A.H. to date. Away from paying homage or imitating, it rather feels like a furtherance of it. Not a continuation, furtherance. Keeping in mind that Zero Kama had been conceived and executed in the context of Vienna, Austria, early 80s, whereas these recordings from 156 emanate from New York City in the 2010s. Also, keep in mind that in such specific areas of musical expression, ritualization of the process and intents are even more important than the results themselves. This day and age is fully indoctrinated, perverted by rationalism and hygienism. Although most would pretend the opposite, death still is somehow a taboo. Involving human bones in whichever creative process is still perceived as an heresy. Even illegal in some countries. Remember that you will die : whichever the way, trying to be consequent or not, human condition and the hedonism inherent to it is rendering oneself submissive or dominant, dull or enlightened, destructive or protective, whatsoever, in the end we all die, and that is the most essential remembrance to anyone’s lifetime probably. What kind of inner state is likely to be attained, or obtained, once one’s reaching the ultimate step in life? The temptation to quote Brian Eno is now high : “Just relax, you’re always at the beginning of something“. Woops. And when the Memento Mori 10″ has reached its end, just relax. You just have to play it again. At 33rpm instead of 45rpm. Such is the way of dancing with the Ophians under the auspices of Naas. Enjoyers of the Bandcamp downloads won’t be left out, as “Thunderdrone Versions” of the tracks are featured, those being, the 33rpm versions of the original 45rpm recordings – with intact ceremonial qualities. The physical vinyl edition comes bone-colored and we are grateful. Mastered by James Plotkin for both the vinyl and the digital release. That James Plotkin of O.L.D., Scorn, Namanax, and Khanate fame, who collaborated with K.K.Null, Sunn O))), Earth and several others? Yes, that James Plotkin. Only a few copies of the Memento Mori 10″ are left, $20 postpaid within USA and $30 elsewhere. A much recommended ritual release that should find its way next to some cult classics of a non-forgotten past. Music videos from Memento Mori, created by Adel Souto.